Just a small selection from forty pages of glowing testimonials. "Comfortable, cosy and relaxing with a warm welcome"
Met by one of the owners who was warm and friendly. Showed us around. His wife had baked cake for us and there was fresh milk and tea/coffee ready - really lovely. The Dairy was small and cosy, perfectly equipped and clean. We know everyone likes a good deal, and there are cheaper holidays elsewhere, but this was worth every penny. 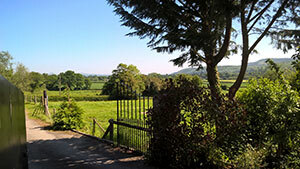 Fantastic location for exploring Stokesay, Church Stretton and Ludlow. Locally there are some really good places to eat while eating in is easy as the kitchen is well stocked with pans and utensils. Thouroughly enjoyed our stay (although I had to hide the cake in the end to stop myself eating it all). "Lovely cottage in very quiet location"
Lovely cottage that had everything we needed for a perfect week. Owners very attentive without being intrusive. 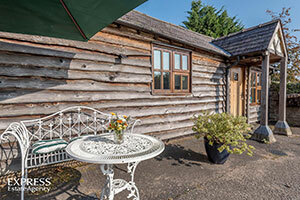 Lovely clean accommodation that was well equipped, also had lovely comfy bed and excellent shower room. Great bird watching on site and lots of places to visit nearby. A great find! "Exactly what we needed, very friendly owners"
"COMFORTABLE/COSY AND WELL SITUATED FOR ATTRACTIONS"
"A delight which we intend repeating later in the year"
This accommodation is in a perfect setting and affords access to the most scenic part of the county as well as Ludlow, a town noted for its excellent speciality shops, pubs and restaurants. 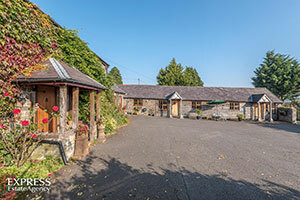 The converted barn is an excellent place to stay and, although the living quarters are relatively small, this is not a problem as one would prefer to get out and enjoy the surrounding areas as much as often as possible. Our host was exemplary in that he was available but never intrusive. Friendly welcome, comfortable accomodation, all needs provided for.